The Aerodynamics group is engaged in both fundamental and applied research related to the understanding and control of aerodynamic flows. The group's strengths lie in the development of new experimental and computational techniques and their application to the design of transport systems. 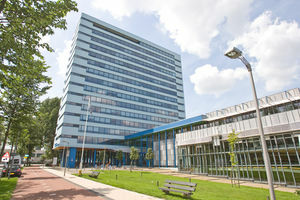 The Aerodynamics group is a member of the Burgerscentrum Research School for Fluid Mechanics and the Delft Centre for Computational Science and Engineering. It is also an active partner in collaborative projects with industry and other research institutes. We are involved in educational activities within the Faculty of Aerospace Engineering at both the Bachelor and Masters level. The group is engaged in both fundamental and applied research to understanding and control of aerodynamic flows.